That Walsh deal: What if not everything is about misogyny and #metoo? Something happened quietly over the long holiday weekend. Perhaps it wasn’t entirely quiet – at least not among the many social media supporters of author, former Salon editor and frequent news commentator Joan Walsh. Walsh learned late last week that MSNBC was not renewing her contract as a political analyst. Yet all ended well as CNN snapped her up in a development that Walsh shared on Twitter Saturday night. “Thanks to everyone who made this happen. A Christmas miracle,” she said in a message confirming her new gig as a CNN contributor. A little less sparkly was the outpouring of rage that came in the hang time between the two. Women across the United States got the #keepjoanwalsh hashtag going, replete with all the catch phrases and images that have become the collective knee-jerk response assumed to be aligned with feminism. Or perhaps assuming to define it, which is starting to be a pretty alarming trend. Immediately, the social media world gravitated to misogyny. That’s why Walsh’s contract wasn’t renewed. “Bad look in this age of misogyny,” says one angry supporter. “It can only be because of misogyny,” says another. “This insults your women viewers. Rehire her. Are you that afraid of Trump that you stifle voices on the left or do you agree with his racism and misogyny?” another fired off to the powers that be at MSNBC. That last message, though, captured a lot of what’s become really troubling with women’s responses to a lot of things. First, it’s not actually about you. Second, you don’t have an elected official at MSNBC obligated to hear your protests, so all those call-to-action tweets with the phone number and your pissed-off demands don’t really make sense. Third, I too count the days until he leaves, but there’s no reason to assume Trump has anything to do with internal contract negotiations at MSNBC or the lack thereof. Fourth, no one said anything at all about misogyny. Or racism. But the Resistance! The Reckoning! Tweet the NBC board of directors individually! Tie the entire Joan Walsh job situation to the broader conversation of – inexplicably enough and without even a shred of “there” there, to even warrant a rationale upgrade to disingenuous – sexual harassment. And sure enough, if you wait long enough, someone will connect the dots to The Handmaid’s Tale and this relentlessly irrational mob hysteria that asserts that fictional dystopia is reality – when it’s not. Say that enough times, post the memes enough times, and you’ll believe it, but the dystopia we actually have should be making a far more legitimate claim on both our anger and our smartphones. Enough, enough, enough. No, not me too – for whatever contrivance of feminist offense it is today – because ladies, with genuine concern and all due respect, you’ve become unmoored and ineffective. 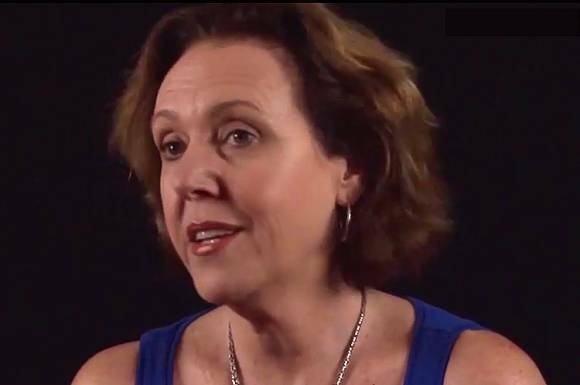 Joan Walsh has a distinct perspective and a valued voice, one among many here in the U.S. and abroad. Fact: She had a job. Fact: Her contract was over. Fact: Now she has another job. The end. It’s an entirely unremarkable reality, like so many others in this past year, that isn’t accurately described by the misuse of all these woke-feminist cultural shibboleths. Or for that matter, might even be considered any of your damn business. I might even construe it as insulting to Walsh to identify her immediately as a “victim” who can’t manage her own career! At this turning of the year, there’s as good an opportunity as any to think about defining one’s own identity instead of immersing it in someone else’s – and maybe contemplating just how fragile and unhinged some of these publicly pushed groupthink positions might be. Don’t want to be manipulated? Then stop manipulating yourselves. At heart, I’ve come to believe that this occasionally terrifying “feminist wave” sweeping the nation isn’t so much about deep thinking on the issues that matter, or articulating them, or even about women supporting women. I think it’s about identity. I think it’s because millions of women invested their own identities in the “shattered glass ceiling” of a Hillary Clinton campaign that failed – failed, seriously, she lost, get over it, it’s time – and have now lost compass on their own damn lives. I think it’s because those same women are internalizing some fictional Handmaid’s Tale narrative and a thousand memes without checking to see if, in fact, that worldview is manifest and likely to become a credible threat to you in whole or in part, rather than just agreeing with your friends at book club. I think the #metoo anger is co-opted and corrupted when it demands that we uncritically believe all women — I assure you I will not – or vilify all men. Clearly, this fury over Trump’s election would make more sense if it drives you to change rather than derails you. It’s troubling to see smart, accomplished and ostensibly confident women reduced to the inanity of spouting slogans that are contextually apropos of nothing. Not everything you don’t like is misogyny, not all situations fit the same #metoo shoe, and not every waking moment needs a defense against some mythical “going back” anywhere. If there’s a reckoning to be had, it may be with your own identity and whatever you think has happened to it. After that, you may have more clarity about what needs to be resisted. A lot of things, but as it stands right now, I have no idea what the hell you think resistance is – and this latest response to Walsh’s job situation surely hasn’t changed my assessment.